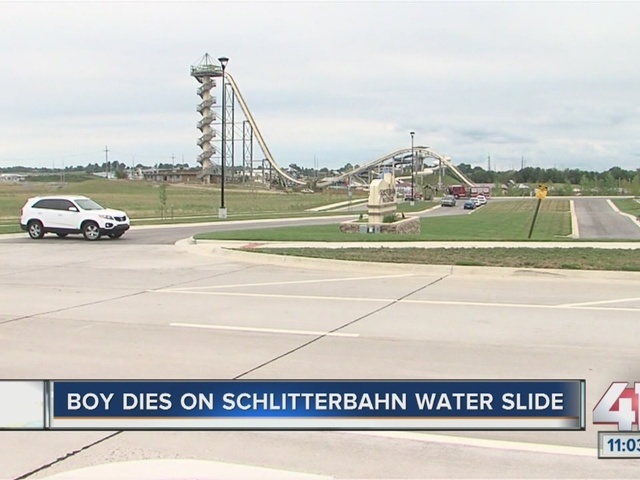 A 10-year-old boy has died after an accident on the Verrückt at Schlitterbahn water park, according to Winter Prosapio, corporate director of communications. The accident happened Sunday afternoon at the water park in Kansas City, Kansas. The child who died is Caleb Schwab, the son of Kansas Rep. Scott Schwab, R-Olathe. A GoFundMe page has been set up to help a Kansas lawmaker's family cover funeral expenses for a 10-year-old son who died at a water park in Kansas City, Kansas. The campaign set up for state Rep. Scott Schwab's family had raised more than $15,000 by late Monday morning. "Michele and I want to thank the Olathe and Kansas City, Kansas communities and all of our friends and family for their outpouring of support and compassion as it relates to the sudden loss of our son, Caleb Thomas Schwab. Your continued prayers are welcome and appreciated. We appreciate your understanding of our family's need for privacy during this difficult time of grieving." Speaker Ray Merrick’s office sent out an email to state lawmakers this afternoon and many were at the water park for Elected Official Day. We will share remembrance details when we receive them." More than one water park guest told 41 Action News that the harness on the ride was not working earlier in the day. "A lady in front of me said that multiple times she rode the ride today, the Verruckt, and that the front harness did not work any of the times that she rode it,” said Jessica Lundquist, park guest. The Kansas City Kansas Police Department said they are investigating the death. Police said on Tuesday that Caleb suffered a fatal neck injury. Officers working an apparent accident death investigation at Schlitterbahn. No other details at this time. “We honestly don’t know what’s happened. That’s why an investigation, a full investigation is necessary. We have to understand what’s happened,” said Winter Prosapio. The water park will be closed until Wednesday. Guests were refunded via gift card or cash. “Right now our focus is on that family. And I understand the feeling that you want a lot of information right now and we will get that information and find out what happened,” said Prosapio. 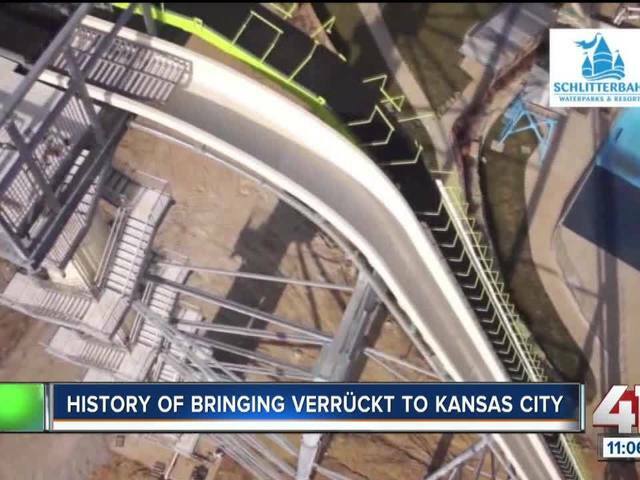 Verrückt is the world’s tallest water slide and has faced a lot of controversy. There were concerns about the safety of Verrückt before it was even finished. In fact, the park delayed the opening the slide at least four times. At 17 stories high and over 168 feet tall, the ride had issues from testing. Schlitterbahn admitted problems with the conveyor system, gearbox and shafts. The angle of the slide was altered and the company denies it was because rafts were flying off the slide. Riders have to be at least 54 inches tall and the weight of the four-person raft needs to be between 400 and 550 pounds. Editor's Note: A previous version of this story stated the incorrect age for Caleb Schwab, the story has been updated to reflect his accurate age of 10 years old.